DogTrekker Mobile App Wins the Gold Adrian Award! 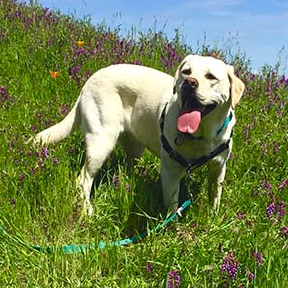 Of more than 1,200 entries in the Hospitality Sales and Marketing Association International’s (HSMAI) 2016 Adrian Awards, DogTrekker.com's new mobile app was selected as the best Mobile App User Experience in the Digital Marketing category. Our readers kept telling us that they needed a more mobile way to travel with their best friends when away from home, work and computers. 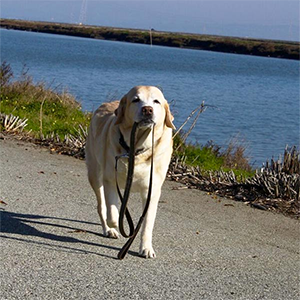 So we created a mobile app that integrates the 8,000, ‘triple-vetted’ listings and 1,500 destination-specific stories from DogTrekker.com to the app. The Hospitality Sales and Marketing Association International (HSMAI) is an individual membership organization with more than 7,000 members worldwide. 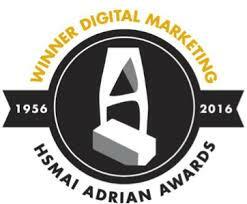 Founded in 1957, the HSMAI Adrian Awards embraces every segment of the industry, including hotels, airlines, cruise lines, car rental companies, destinations, credit card companies and more. Winners are selected by senior industry and media experts and honored at the annual Adrian Awards Gala. DogTrekker.com's mobile app was awarded their highest award, the Gold Adrian, in the Mobile App User Experience in the Digital Marketing category.